If pregnant or breast-feeding ask a health professional before use. Keep out of reach of children. In case of overdose, get medical help or contact a Poison Control Center right away. The growth rate of some children may be slower while using this product. Talk to your child's doctor if your child needs to use the spray for longer than two months a year. If allergy symptoms do not improve, increase to 2 sprays in each nostril per day. 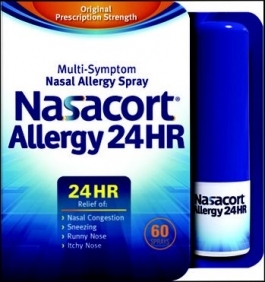 Once allergy symptoms improve, reduce to 1 spray in each nostril per day. Keep package and insert. The contain important information.